The Japanese Human Resource Management (HRM) practices have been famous for their distinctiveness and applied in Western countries, including America. The “three pillars” comprise the Japanese HRM consist of the life-time employment, the seniority-based wage and promotion system, and enterprise unionism. The topic of Japanese HRM model is very controversial because the system is changing over time and points of view are also eventually different as well. Based on current research, this essay aims to describe the impacts of the more-than-decade-long recession on HRM practices of Japanese companies. Furthermore, the essay tends to agree with the perspective that Japanese management system is not completely converging towards a Western model although there are similarities between current changes and the Western management style. The reason for that is because these “three pillars” of Japanese HRM are not dead yet but still play a significant role in the management system. It is necessary to briefly introduce “three pillars” of the Japanese HRM system before explaining the impacts of the decade-long recession as well as discussing whether changes in Japanese HRM system are following a Western model or not. According to Ojha (2000), one of the key pillars is “enterprise unionism” which is the system that each firm possesses a single union to stand for blue- and white-collar workers; and these unions operate independently. The purpose of establishing a union is, together with the management of the firm, to work for the interests of the enterprise. The enterprise unionism aims to negotiate for increases in salaries and other allowances for workers (Grainger and Miyamoto 2003), and then they can encourage workers to increase the productivity and efficiency as well as to assure the future of a firm. A second pillar is the expectation of life-time employment. People who are offered life-time employment are important employees in main activities of a firm. Ojha (2000) believes 25% of the workforce takes advantage of the system while Grainger and Miyamoto (2003) suppose this percentage is around 30%. Nevertheless, these authors agree that the major advantage of life-time employment system is to build up the loyalty of core employees and rationalise a firm’s investment in job training. The seniority based wage and promotion system, a third pillar of the Japanese HRM system, is described that when being recruited, the salary of a worker starts at the bottom and will increase if he can stay longer with the firm (Ojha 2000). This system prevents job switching because workers have to start at the bottom level again. On the other hand, firms have to keep their skill employees to reduce the training cost, and also retain senior members to let them not find another job on their own because respecting of seniority is coherent with Japanese tradition and culture. The last decade is considered as the “lost decade” of Japanese economy because of its major economic problems leading to changes in management practices (Benson and Debroux 2003). These problems include poor economic growth, pressure of deflation and increasing unemployment rate (Benson and Debroux 2003; Grainger and Miyamoto 2003). Japanese economic crisis since 1990s has directed its management model, including HRM practices into questioning (Pudelko 2006). Furthermore, Farrell (1999) assumes that the Japanese economy has to be reexamined under the fundamental reform in the current period of the information economy. As a result, the traditional Japanese model, which was viewed as the managerial model for the world just few years ago (Farrell 1999), is now are under significant pressures and subjective to change (Grainger and Miyamoto 2003; Pudelko 2004). Because of the poor financial performance of Japanese companies, the trend of having more types of employee in the employment system has become more common (Benson and Debroux 2003). Besides core employees (i.e. long-term members) of the company, there are also some short-term employees such as contractor groups of specialists (Pudelko 2004) and others worker doing simple and routine tasks. More importantly, the argument from Grainger and Miyamoto (2003) is that the proportion of those part-time and casual workers in large Japanese companies is in line with economic fluctuations. Also, remaining those core employers who are no longer productive for a company will induce significant long-term costs and inflexibility. That is the reason why Benson and Debroux (2003) mention about the decrease in demand and recruitment of young graduates from high schools and universities. In the last decade, the seniority based wage and promotion system experienced radical changes, also to support for the life-time employment system (Grainger and Miyamoto 2003). Regardless of productivity, the problem of seniority principle is that the wage relatively increases with age and length of service. The authors describe that large Japanese companies then have applied two types of wage systems to solve the problem. On the one hand, they decline the number of managers by focusing on the performance rather than personal factors such as age, education and years of service. This is the shift towards merit-based appraisal system which performance partially determines remuneration and promotion (Benson and Debroux 2003). On the other hand, Grainger and Miyamoto (2003) assume that seniority principle is still applied for those who have not moved to managerial positions and those whose skills still need to be trained and improved. Interestingly, Benson & Debroux (2003) argue that more than 75% companies which are surveyed claimed merit-based system was the main reason for them to reform their firms. However, Selmer (2001) refers to the study of Morishima (1995) to demonstrate the attitudes and actions of 1,618 Japanese firms towards the changes and only 10.8% firms modify their employment system regarding merit-based system but 56.6% firms still keep their traditional employment system. In fact, it is somehow noticed that the seniority system put Japanese companies under high pressures to be able to accommodate their eligible employees during the economic downturn over the past few years (Dedoussis 2001; Farrell 1999). The difficulty in Japanese economy after 1991 also influences the role of enterprise union towards the management of a firm (Benson 2006). The effect of enterprise union on company profits may be less and in that context, unions could not make more demands on companies as what they did before. Under economic fluctuations, the strategy of unions is to maintain the financial sustainability of the company. Also, it is necessary to mention the changes in attitude of young Japanese employees. They now lose faith in the traditional HRM system and prefer the merit-based system in order to increase their wages by focusing on their individual performance (Benson and Debroux 2003). Adopting individualization of HRM is actually from American model. As a result, workers might no longer need unions to negotiate for the increases in their wages which was the main activity of enterprise unions. The fundamental developments such as the effect of globalisation and liberalisation mainly put Japanese companies under pressures to adopt profound reforms in their HRM system (Benson and Debroux 2003; Pudelko 2004). The study of Pudelko (2004) show that main attributes for re-orientation of Japanese HRM system include: “performance orientation”, “result and objective orientation”, “performance and result-oriented remuneration”, “turning away from the seniority principle. Also, there is a study which surveyed experts to admit that Japanese employees are adopting Western-style attitudes to work (Mroczkowski and Hanaoka 1998). These are characteristics that are most described for American HRM model. Once again, Benson and Debroux (2003) point out that there are more similarities between the new HRM practices when Japanese companies restructure and those HRM practices are currently being applied in some Western countries. However, the authors themselves also acknowledge that it is too premature to conclude that Japanese HRM practices are converging with regard to a Western model. Dedoussis (2001) claim three arguments to explain why current changes in Japanese HRM practices have some similarities but still being diverse from Western management style, especially when large firms cope with the recession. Firstly, employee “loaning” in keiretsu networks has become popular during the existing recession. Secondly, “voluntary” early retirement means that some employees have to stop working in their early 40s. Thirdly, large Japanese firms try to reduce cost by cutting down bonus, salaries, and other benefits as well as extending unpaid vacations and drop official working hours. Besides, Mroczkowski and Hanaoka (1989) assume that in Japanese management style, the concept of performance appraisal is distinct from Western countries not only in terms of the achievement in actual results but also the degree of good faith efforts. These sets of activities of Japanese companies could not be found obviously in Western firms (Dedoussis 2001). That is to say, it is not possible to claim that a simple convergence towards a Western model is happening (Benson and Debroux 2003). Being apart from merit-based remuneration and promotion which come from Western HRM practices, the Japanese HRM system is still diverse and it is slowly restructuring but still remaining established practices in its management model (Dedoussis 2001). There are some perspectives about where Japanese HRM system is converging, if a Western model might not be the case. Interestingly, Pudelko (2006) continues to study on comparisons between Japanese, American and German management models to draw the conclusion about the trends. Contrasted with what the author found in the previous study (2004) that Japanese model might have a paradigm shift towards Western, especially the American management concept; Pudelko (2006) proves that current Japanese HRM practices are still different from American and German models and in fact, the Japanese HRM has been moving closer to its traditional model. However, there is no conflict between two studies of Pudelko in 2004 and 2006 because the Japanese HRM system is still in the process of its reform. Benson and Debroux (2003) reveal that this process concerns a lot of experiments but not all of them will work and not all of them will easily be adopted by Japanese companies towards Western management practices. Japanese managers criticise their management model in terms of their seniority principle or life-time employment to seek inspiration from America model (Pudelko 2006). That also does not robotically mean the changes in Japanese HRM practices will be totally applied from the American model. The same scenario could be used to explain in this case is that during 1980s many American experts adopted Japanese HRM model but today no one would debate that American HRM practices have been converged towards Japanese model (Pudelko 2006). In short, the new concept of Japanese HRM system could be in between and combine key concepts of the traditional Japanese seniority principle and the American individual-based performance orientation (Pudelko 2004; Pudelko 2006). Similarly, Benson and Debroux (2003) suggest the new Japanese HRM system may move towards a market-driven approach (i.e. Western model) but strong core of workers still can enjoy their traditional system. This is the fact that the Japanese HRM model has significantly lost its attractiveness (Grainger and Miyamoto 2003; Pudelko 2004), as demonstrated by the changes under the decade-long recession and similarities to Western management style. However, there is an agreement from authors that little evidence or it is too soon to claim the end or the time of completely reforms of the Japanese HRM system (Bension and Debroux 2003; Farrell 1999). Mroczkowski and Hanaoka (1989) argue that changes in employment practices and employment motivation are not meant to destroy the traditional system but to enhance the flexibility in the HRM system. As in a broader view, traditional Japanese HRM system still can be seen as the foundation of inspiration (Pudelko 2004). In particular, Selmer (2001) refers to a recent study of 308 directors, personal managers and union officials in major Japanese companies to prove the continuing commitment of life-time employment principle. According to the study, 90% acknowledged the plans of continuous employment until retirement from their companies and 82% think this is advantageous. Selmer also confirms the benefit of life-time employment system in reducing cost job training and protect private knowledge of a company and hence both the management and workers have the long-term relationship to support for the success and development of each other. Additionally, Farrell (1999) considers employees as the valuable assets that top executives of companies cannot easily dismiss even though the economic issues were so bad. To explain for the changes in employment system, Grainger and Miyamoto (2003) assume that it is in progress adjustments for Japanese firms to adopt new dynamic environment, which is the age of digital information and technology in global economy (Farrell, 1999). In terms of the orientation of the seniority based wage and promotion system, the study of Pudelko (2006) proves the significance of that system compared to Western models like Germany and America. The author also mentions the seniority principle as the distinctiveness of Japans culture (Hofstede 2001; Ojha 2000) and this have led to the remaining of that system in HRM practices of Japanese firms’ regardless currently economic downturn. Concisely, it is beneficial to notice the loosening of strict requirements of the traditional management system but this existing system actually is supported by Japanese influential corporate leaders that it can endure in the current economic recession (Pudelko 2004). Through out the essay, it has been proved that the traditional Japanese HRM system are not dead yet but still existing chiefly and playing a significant role of the second largest economy because of their distinct culture of respecting seniority. Under the pressures of the more-than-decade-long recession, some Japanese HRM practices are affected to adopt some changes in terms of the three pillars; consisting of the life-time employment, seniority based wage and promotion system and enterprise unionism. Besides permanent employees, part-time workers and contractor groups of specialists are becoming widespread. Not emphasising too much on the seniority principle, Japanese firms also adopt the merit-based system which focuses on the performance ability of employees. The function of enterprise unionism is reduced as changes in attitudes of young workers and turning to the merit-based system have decreased the relationship between employees and unions. Although it is the controversial topic, this essay also supports for the idea that the HRM system of Japan are not converging toward any Western model. Being simulated by the American management style, however, will only be the foundation for Japanese managers to reform their system to a “new” Japanese concept (Pudelko, 2006). As time goes by, all the assumptions from the authors to support for the essay are just theories that might be applicable at some specific points of time but they all need to be reconsidered in the future. Benson, J. (2006). Japanese management, enterprise unions and company performance. Industrial Relations Journal, 37(3), 242-258. Benson, J. & Debroux, P. (2003). Flexible labour markets and individualized employment: the beginning of a new Japanese HRM system? Asia Pacific Business Review, 9(4), 55-75. Dedoussis, V. (2001). Keiretsu and management practices in Japan – resilience amid change. Journal of Managerial Psychology, 16(2), 173-188. Farrell, W. R. (1999). Crisis and Opportunity in a Changing Japan, Westport, Connecticut, London: Quorum. Grainger, R., & Miyamoto, T. (2003). Management in Japan. In Chatterjee, S. R., & Nankervis, A. R. (Eds. ), Understanding Asian Management: Transition and Transformation, Guildford, W.A: Vineyard Pub. Hofstede, G. (2001). Culture’s consequences. Comparing values, behaviors, institutions and organizations across nations, 2nd ed., London, Thousand Oaks, CA: Sage. Morishima, M. (1995). Embedding HRM in a social context. British Journal of Industrial Relations, 33(4), 617-640. Mroczkowski, T. & Hanaoka, M. (1989). Continuity and change in Japanese management. California Management Review, 31(2), 39-53. Mroczkowski, T. & Hanaoka, M. (1998). The end of Japanese management: How soon? Human Resource Planning, 21(3): 20-30. Ojha, A. K. (2000). Can Japanese Management Practices be Successfully Transferred to other Countries? In Lau, C. M., Law, K. K. S., Tse, D. K., & Wong, C. S. (Eds. ), Asian Management Matters: Regional Relevance and Global Impact, River Edge, N.J: Imperial College Press. Pudelko, M. (2004). 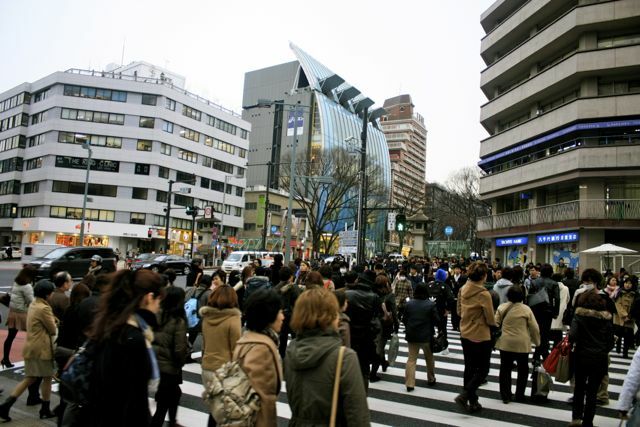 HRM in Japan and the West: What are the Lessons to Be Learnt from Each Other? Asian Business & Management, 3(3), 337-362. Pudelko, M. (2006). The seniority principle in Japanese companies: A relic of the past? Asia Pacific Journal of Human Resource, 44(3), 276-294. Selmer, J. (2001). Human Resource Management in Japan: Adjustment or Transformation? International Journal of Manpower, 22(3), 235-243. Let me know what you think, hope all is well! I wrote the essay in 2009, and 3 years later, the situation seems still the same in Japan. I agree with the idea that Japanese companies should change their mindset. Unlike other companies going global to get best practices or finding resources, Japanese companies only go global when their domestic markets are saturated. They have been lying too much on their domestic markets and hence, lose their global competitiveness.